Here, for a moment, we must reflect on our obsession with cinematic danger. 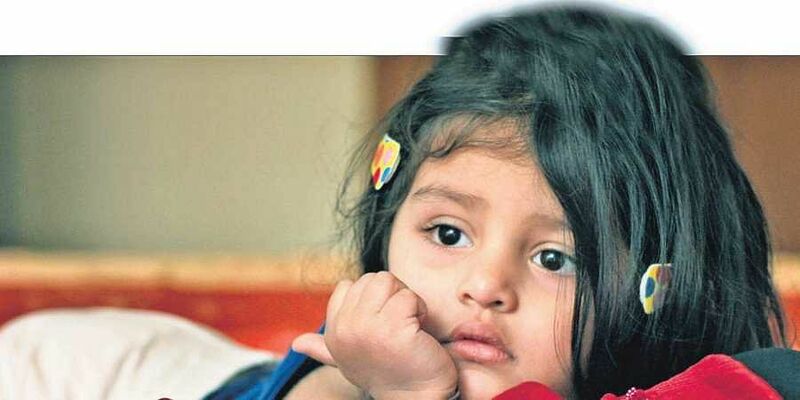 Vinod Kapri’s Pihu is about a two-year-old girl locked inside a Ghaziabad duplex for more than half a day. Her age here is crucial: she’s just about tiny enough to fit herself inside a refrigerator, yet old enough to remember her mom’s favourite daily soap, or — more worryingly — turn the knobs on the kitchen stove. She isn’t exactly ‘home alone’ (as the trailer had effectively teased), but this is the sort of film where the ‘who’ and ‘why’ thin away real quick and the protagonist is nudged onto an intricate jungle-gym of ‘hows’. For instance, how will little Pihu, so small she’s dwarfed by the teddy bears in her playroom, go about reaching out for help? Will anyone make much of her distracted babbles, amped up by a concerned sound designer to trigger discomfort? How will she warm milk — or, for that matter, even tell it apart from a bottle of floor cleaner? Any good survival thriller is built around the notion of escalation: we start with something simple (a kid struggles to find her potty seat) and arrive at something outrageously nerve-wracking (the kid climbs the balcony rails of her 9th floor apartment). Between these plot-points must exist a logical progression that limits our disbelief while keeping the suspense intact. Sadly, this is where Pihu fails. The set-pieces are intriguingly imagined, but they mesh oddly, and entire sequences, like unmatched pieces of Lego, refuse to fit into each other. Here, for a moment, we must reflect on our obsession with cinematic danger. There’s no denying that the anticipation of violence — and a timely (albeit clever) circumvention of it — is what propels our addiction to horror/thrillers, this feeling that we will be pushed to the edge only to be safely brought back to our seats. It’s a surefire rewarding mechanism that pervades all forms of entertainment: video-games, adventure sports and even children’s fiction. However, in the case of cinema, it reveals a strange dichotomy about our collective position as an ‘audience’. 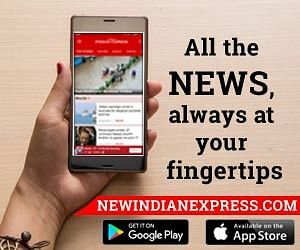 Like how during Pihu, while watching an otherwise cautionary tale about careless parenting in urban India, we secretly wish the sense of danger lurked a little longer: even though it implies pushing a two-year-old child to precarious ends, making her tinker with live wires or circle a hot dry iron. (All of this is of course make-believe, as the director has repeatedly assured in interviews, but it does say something about our dual-natures as good samaritans and secret voyeurs). Hold on, maybe this is what Vinod Kapri is getting at: the irrevocable breakdown of communication, literal or figurative, in our increasingly urbanised lives. A phone conks off when most needed, a plane loses network once airborne, and a disgruntled neighbor refuses to help because she was uninvited to a party. The film certainly lacks the sophistication of a taut social thriller, but it does deliver a serious moral payoff in its own unsubtle way. For his Netflix special The Push, celebrated mentalist Derren Brown had received ethical backlash for designing an experiment where a person is manipulated into pushing a man off a building. Although Brown had billed his show as a demonstration in ‘social compliance’, concerns were raised about using an unsuspecting layman as the subject of a dangerous ploy, no matter how noble or revealing the conclusion. Pihu, starring (then) two-year-old Pihu Myra Vishwakarma, straddles a similarly thin line. While Myra is disarmingly cute in her blue surf-tee (and becomes quite a boss when berating the milkman), it feels weird to anticipate her surprise — or shock — when she grows up to understand the film she’s in.Cinema bears an odd resemblance to childhood: colourful and enticing on the top, full of dark holes in the bottom. Both must be trod lightly, and with care — one baby-step at a time.